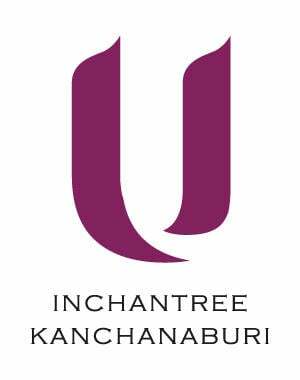 There’s an abundance of remarkable discoveries to be made nearby U Inchantree Kanchanaburi. Here’s a pick of our favourite spots to enjoy the local culture and to discover some new, exciting experiences. 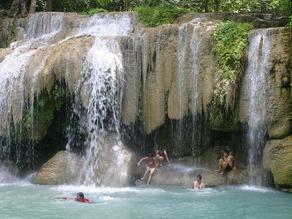 Discover exciting things to do and places to visit for your Kanchanaburi holiday travel. 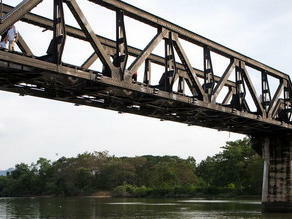 Perhaps the best known attraction of Kanchanaburi, featured in world’s famous book and film, The Bridge on the River Kwai is part of the infamous Death Railway, spanning over Kwai Yai River, built by the prisoners of the World War II under the supervision of Japanese Imperialism Army. 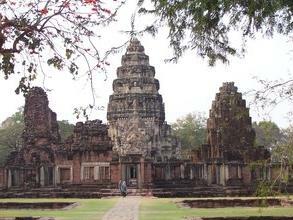 Explore the trace of once-flourish Khmer Kingdom at one of best known Khmer-style religious structures in Thailand. Historians estimated that Prasat Mueang Singh, and its surrounding architectures on the bank of Kwai Noi River, was built between 857 and 1157 as a religious temple of Khmer Kingdom. Housing one of the most famous waterfalls in the country, Erawan National Park boasts stunning scenery where over 80% is covered in mixed deciduous, dipterocarps and evergreen forests. 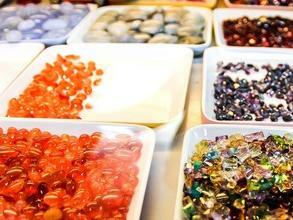 If your eyes glow and heart pounds with every time you see sparkling little gemstones, a trip to Bo Ploi is a must. 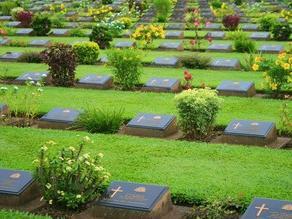 Amidst the sound of traffic and ongoing life is the final resting place of those who lost their lives during the construction of the Death Railway. The second you step inside, complete silence pervades. 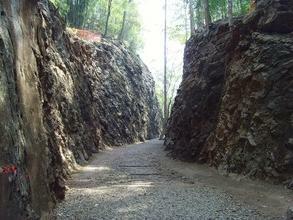 Put your experience of the Death Railway in perspective by heading over to Hellfire Pass Memorial. This 500-metre long, 26-metre deep cut through solid boulders is notorious for claiming the most lives. 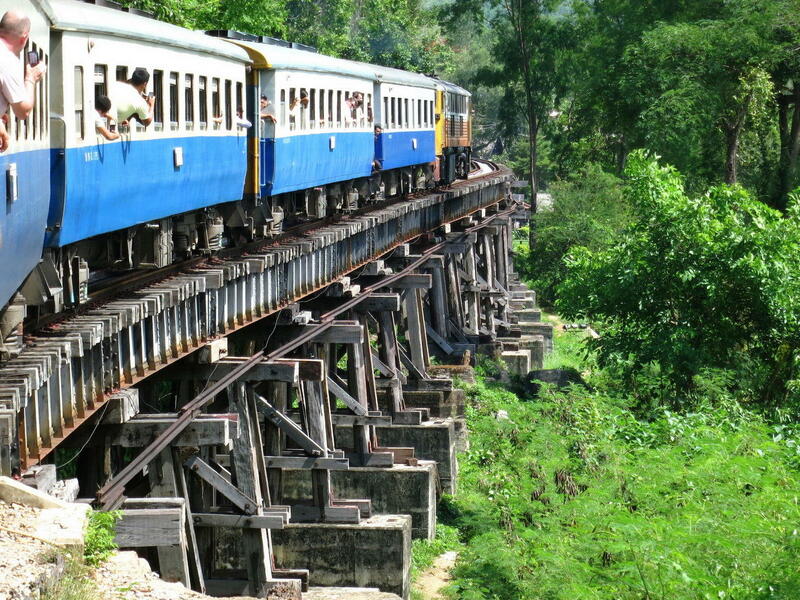 Stretching 414km across western Thailand and into Burma, the Death Railway is a standing testimonial of a story that many wish had never happened.